Disney and Maker Studios have distanced themselves from PewDiePie after the YouTube star posted videos that included antisemitic comments. The Wall Street Journal broke the news in the wake of its own investigation, which is said found nine recent PewDiePie videos that included antisemitic jokes or Nazi imagery. Disney acquired Maker in 2014 and the online channels business and PewDiePie launched Revelmode, a talent incubator for vloggers, last year. 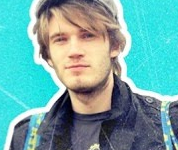 Maker quickly distanced itself from PewDiePie, real name Felix Kjellberg, following the WSJ report. PewDiePie responded in a blog post that carried the headline ‘just to clear a few things up’, in which he accepeted the jokes in question were offensive but said he wanted to make a wider point about the nature of online video content. PewDiePie’s YouTube channel has 53.2 million subscribers (although the online star has taken issue with how YouTube records subs figures).